A gripping history of outlaw motorcycle club culture from its beginnings to the present day. In a world where most of us roll over when confronted by the power of authority, the antihero figure of the outlaw biker stands beyond the crowd, a beacon of social freedom. By choosing to live outside of society’s conventions, the one-percenter has the inner strength to act on his own convictions. Though most of us are too timid to venture into these outer margins of society, the one-percenter not only enters those margins—he stomps on them. In Hell on Wheels, avid motorcyclist Bill Hayes dives deep into the world of the outlaw motorcyclist, exploring legendary clubs like the Hells Angels, the Bandidos, the Outlaws, the Vagos, the Pagans, the Mongols, and many others, allowing the reader to peer into motorcycle club culture. 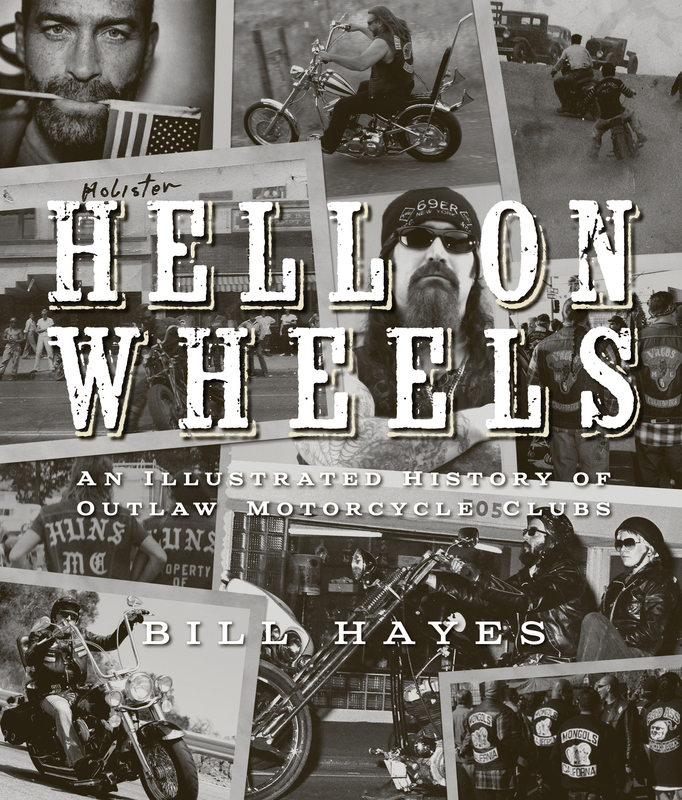 Featuring both modern and historical photos, as well as a rare collection of club memorabilia found in no other publication, Hell on Wheels traces the roots and development of motorcycle club culture: its origins in the years following World War II; the turbulent 1960s and the disco era; the transition of clubs from loose groups of hooligans to highly organized machines; and, more recently, the copious clashes with law enforcement amid the post-9/11 world of the Patriot Act. The one-percenter has become one of the most popular figures in outlaw culture, and Hell on Wheels is his story. Bill Hayes is an avid motorcyclist whose articles, columns, and fiction have been published in Easyriders, Thunder Press, and Biker magazines. His column in Real Blues magazine has run for many years, and several of his feature articles on martial arts have appeared in Black Belt magazine. Bill writes passionately about the things he loves and knows best: motorcycles, the blues, and martial arts.